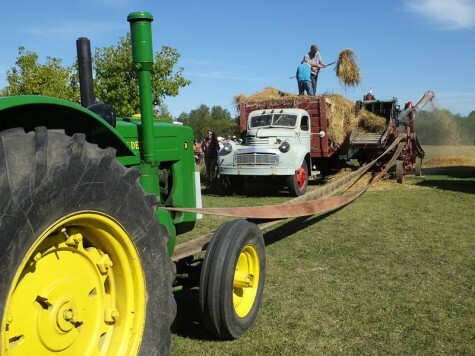 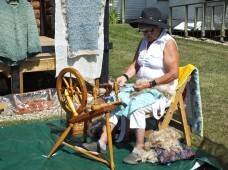 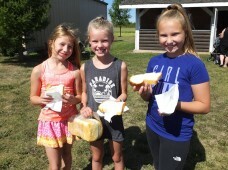 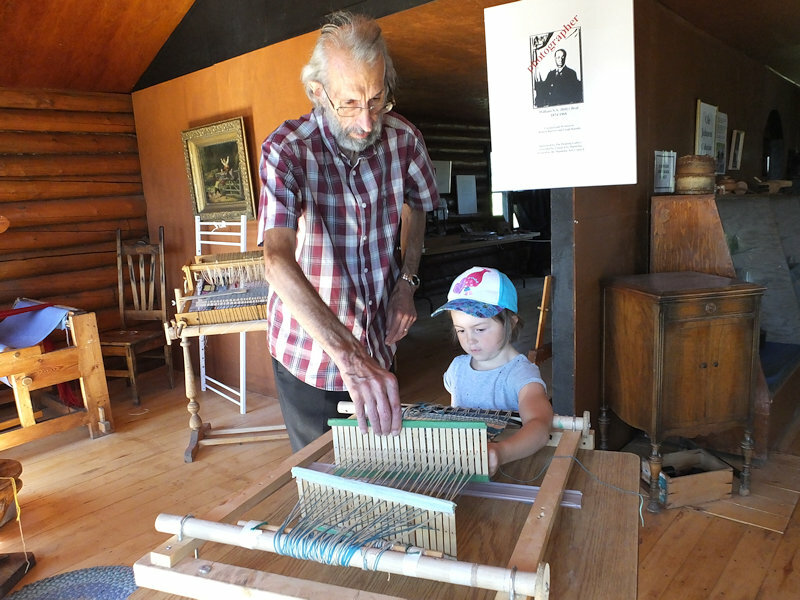 The Swan Valley Historical Museum held their annual Harvest Festival on August 27, 2017. 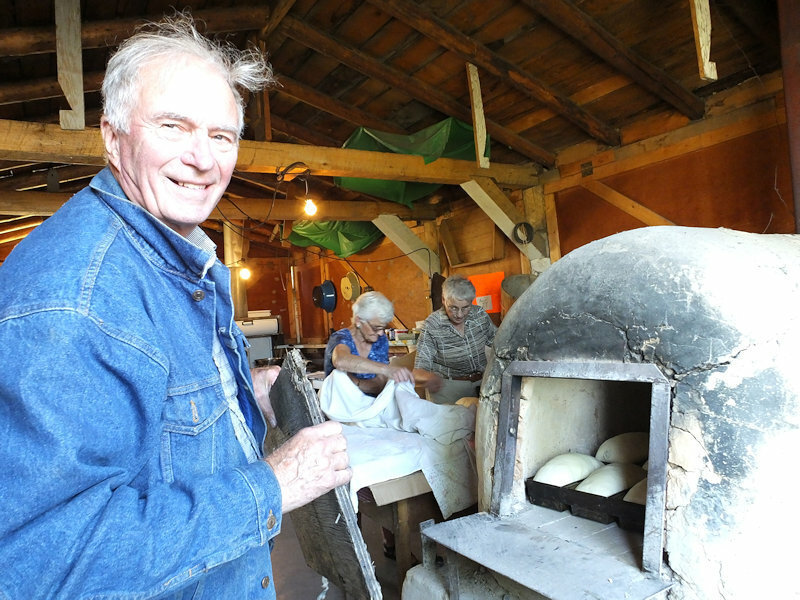 The home made bread was a must and the lineup started before the fresh baked bread was even out of the clay ovens. 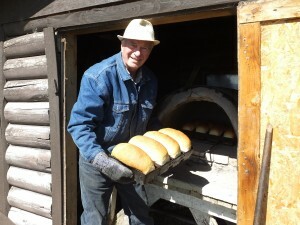 The clay oven in the bake house can cook 20 loaves at a time and the outdoor oven can cook 16. While it only takes about 40 – 45 minutes for the loaves to bake, it seems like forever once the smell of the bread baking starts to fill the air. 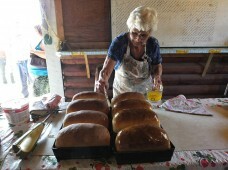 Two batches of bread are cooked and the fresh goodness can be purchased by the slice or by the loaf. 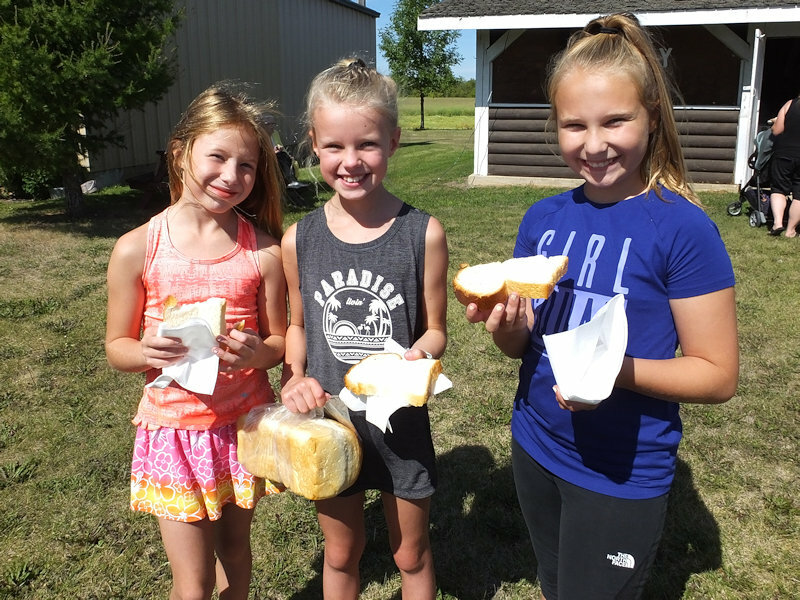 Due to the demand, loaves are limited to one per family. 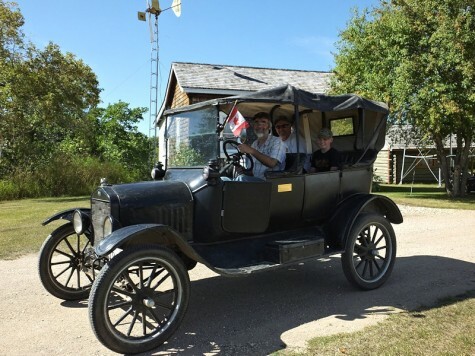 Attendees took a trip back in time with a ride in a 1916 Model T Ford. Loom Weaving and Spinning Demonstrations took place throughout the afternoon. 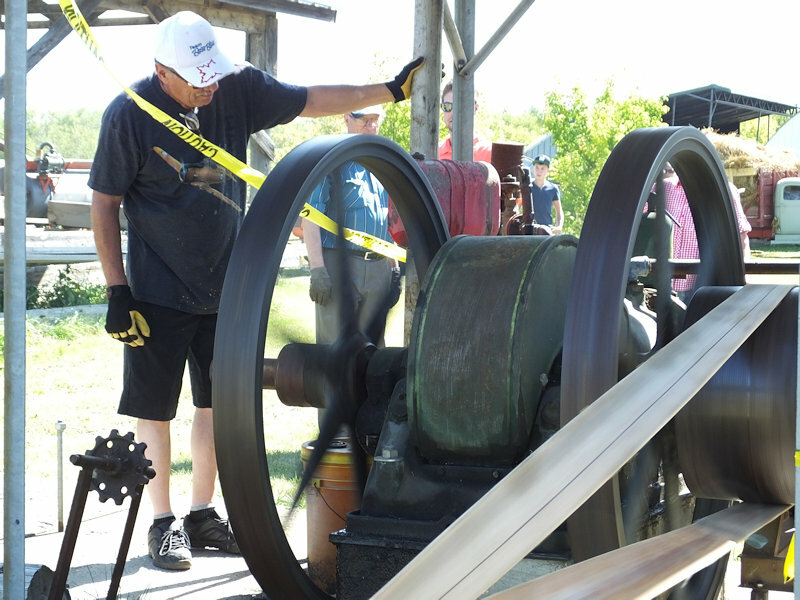 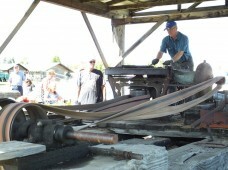 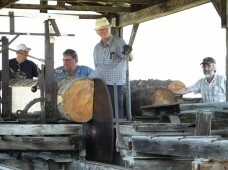 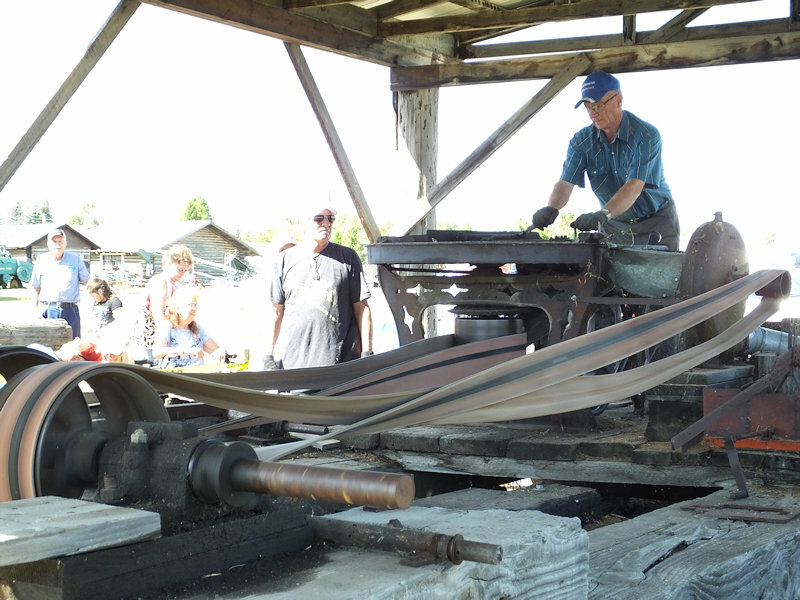 A variety of old machinery was also demonstrated. 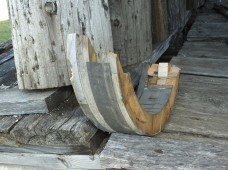 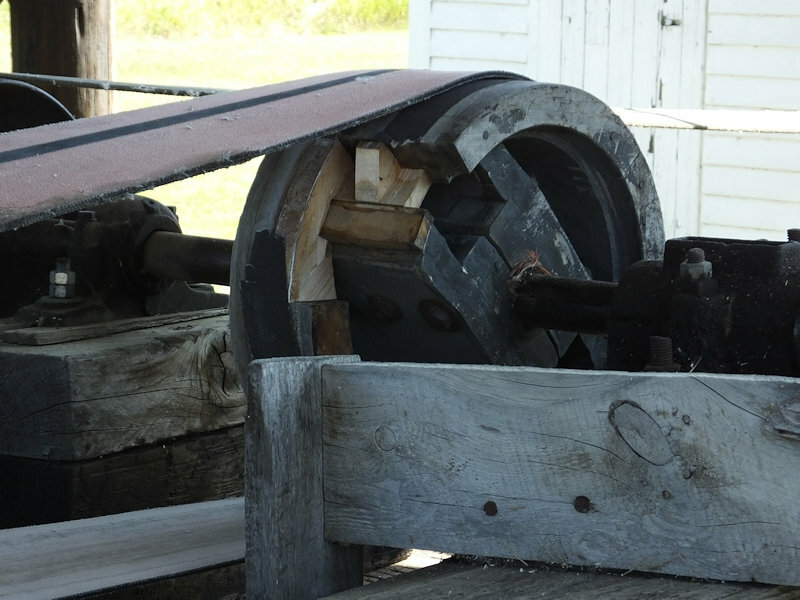 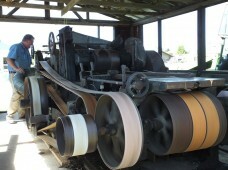 The shingle mill demonstration ended soon after it started when a drivewheel blew apart, narrowly missing the operator. 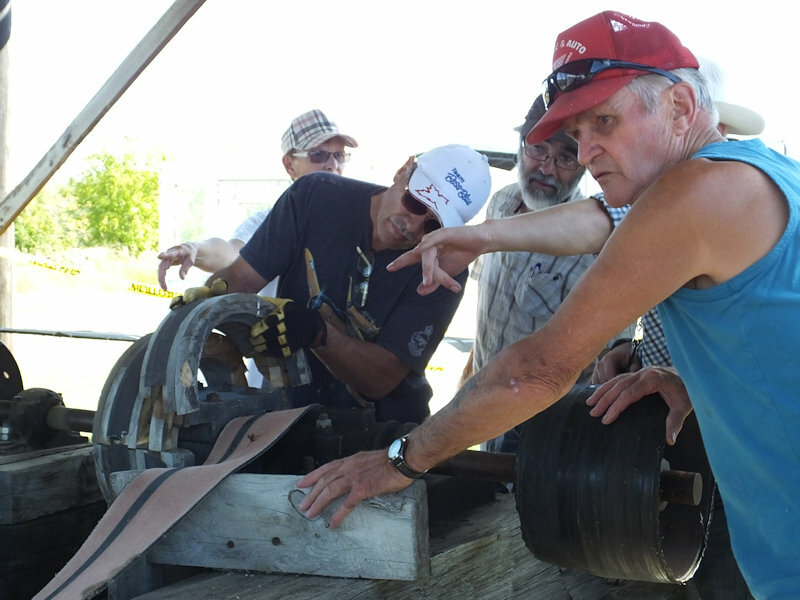 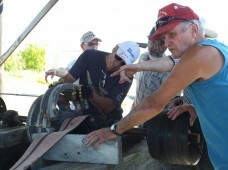 With replacement parts not readily available, some discussion took place on how to best approach the repairs. The threshing demonstration is always a drawing factor as young and old witness the process that was so common in the history of our farming community. 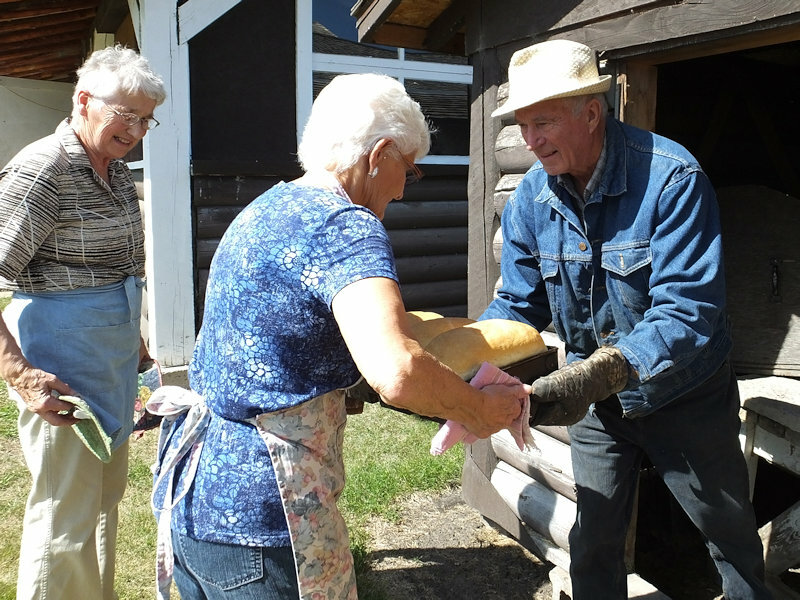 There was time throughout the afternoon to stop by the General Store for a cool treat and explore all of the buildings in the pioneer village.